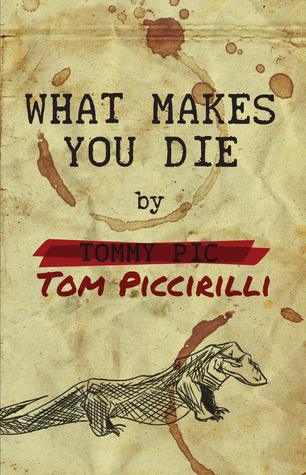 Apex Publications is proud to present the latest novel by acclaimed author Tom Piccirilli. WHAT MAKES YOU DIE is now available for order from Apex Publications! To see more is to find oblivion… Screenwriter Tommy Pic fell hard from Hollywood success and landed in a psychiatric ward, blacked out from booze and unmedicated manic depression. This is not the first time he’s come to in restraints, surrounded by friends and family who aren’t there. This time, though, he also awakes to a message from his agent. The first act of his latest screenplay is their ticket back to the red carpets. If only Tommy could remember writing it. Trying to recapture the hallucinations that crafted his masterpiece, he chases his kidnapped childhood love, a witch from the magic shop downstairs, and the Komodo dragon he tried to cut out of his gut one Christmas Eve. The path to professional redemption may be more dangerous than the fall. …This is what makes you die.